Wear Taste of Florida on your Sleeve! Enjoy a Taste of Florida without the sand in your suit. 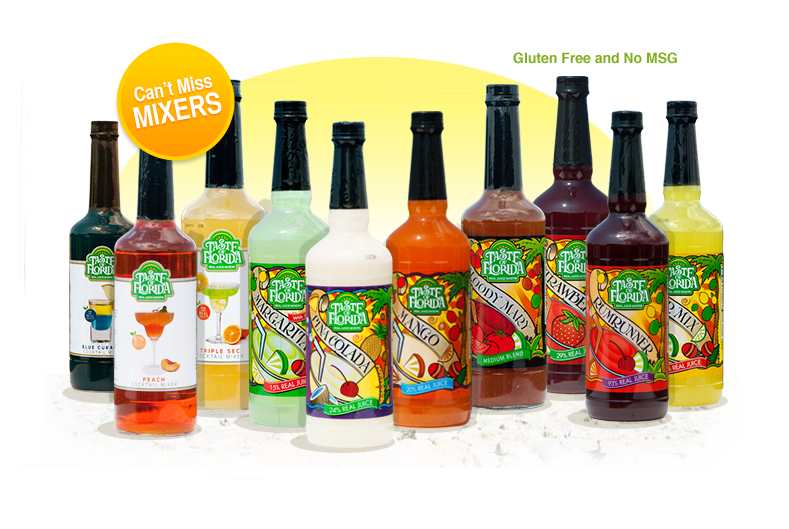 Taste of Florida real juice mixers don’t mess around when it comes to premium enjoyment. 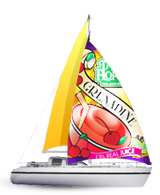 By combining real fruit and real fruit juices, we make fun drinks taste even better. 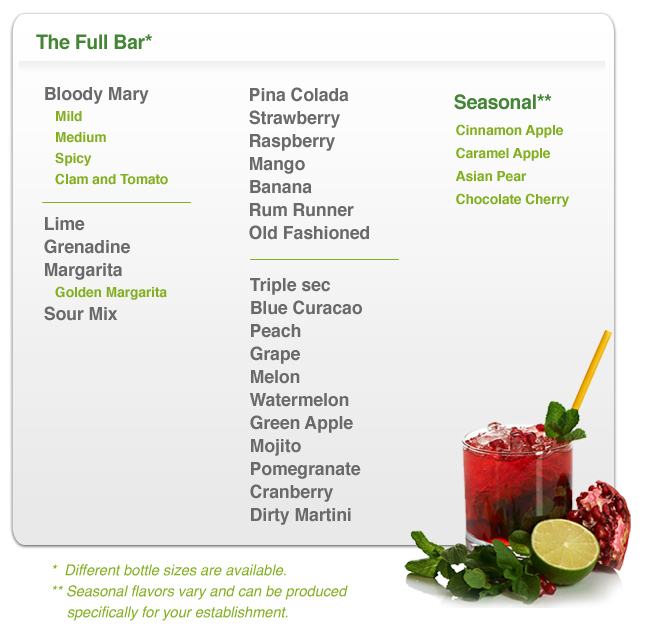 From Margaritas and Bloody Marys to Triple Sec and Blue Curacao, we have a drink mix that will turn a good time into a great time. Taste Florida for yourself, because let’s be honest, real tastes better than fake.